The Dragonfly 18L pack is a durable, water-resistant, versatile and light backpack designed for minimalist climbers looking to carry just the bare necessities. 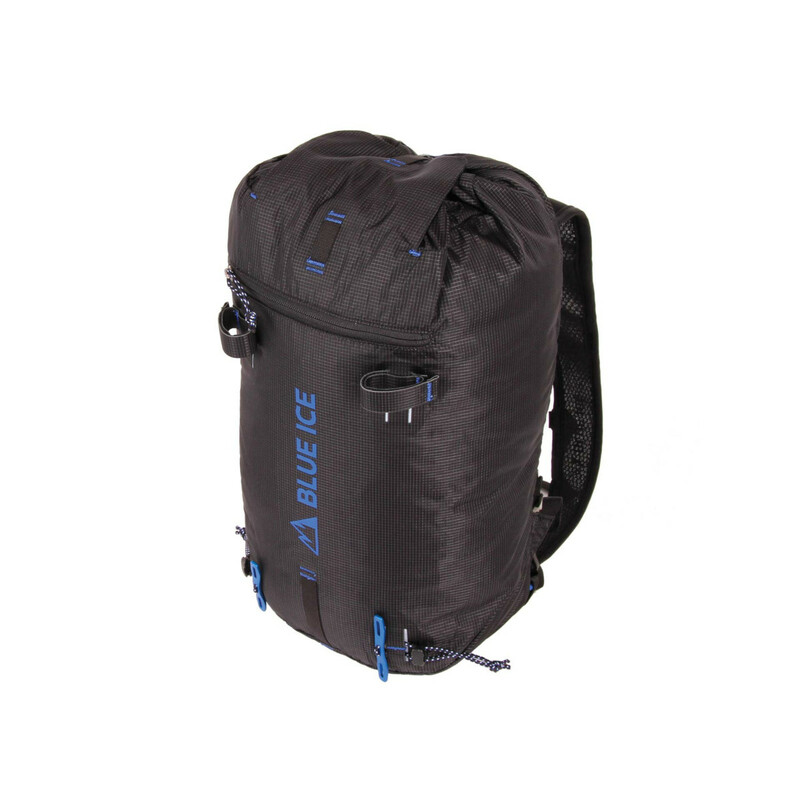 Designed to be as functional as possible, the Dragonfly 18L pack folds into its own pocket for stowing away inside a travel bag or a larger bag on the approach hike, saving room for other important bits of gear. For the most minimalist climbers, the foam back pad, hip belt, and sternum strap can all be removed to decrease volume and weight, allowing you to switch between maximum comfort and minimum weight with ease. This pack is made from resilient ripstop nylon to protect from abrasions on gear and rock, has a DWR coating for just-in-case protection against light rain, with new highly breathable shoulder straps and 3-D mesh back for wear-all-day comfort, all in a pack weighing only 360 grams. Save weight and energy with the Dragonfly. Ripstop fabrics are fabrics woven with special reinforcing technique that makes them resistant to tearing and ripping. Used in sails, hot air balloons, kites, and parachutes (disclaimer: gear will not work as a parachute… or at least hasn’t been tested to). The DWR (durable water repellent) is an ultra-thin, water-resistant treatment whose satisfying water-beading has become the hallmark of a beautiful jacket. Although the DWR is not permanent and will wear off from exposure to dirt and general wear and tear, it can be very easily restored to its original functionality.